For over 34 years, the AFJ has developed an extensive network of donors, partners and grantee organizations that uniquely positions the organization to effectively mobilize and distribute resources for change where it counts. AFJ recognizes its fiduciary responsibility and its work is deeply rooted in accountability and transparency. The AFJ Board of Directors seek to tap into the network of support provided by American multinational corporations with commercial interests in Jamaica, American winter residents, members of the diplomatic corps and Jamaicans living overseas as well as the various other individuals with a dedication to the economic and cultural sustainability of the beautiful island nation of Jamaica. Ambassador Glen A. Holden, Ret. 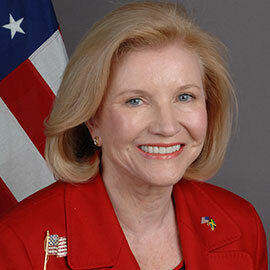 Ambassador Sue M. Cobb, Ret. 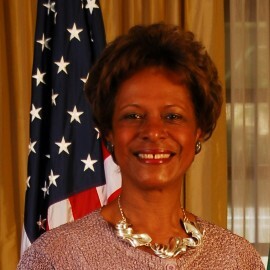 Ambassador Pamela E. Bridgewater, Ret. Ambassador J. Gary Cooper, Ret. 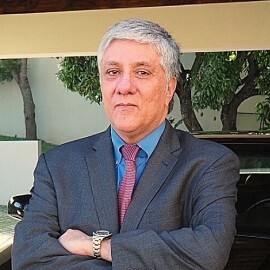 Ambassador Luis G. Moreno, Ret. 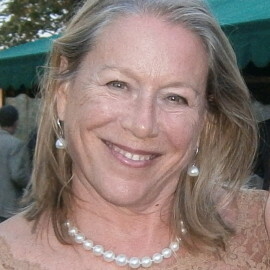 Wendy Hart was born in Jamaica, lived in England and New York and currently resides in Miami, Florida. She worked in hotel development with Island Outpost for over 12 years in South Beach and the Caribbean and was a Board Member and Marketing Chair for the Greater Miami Convention and Visitors Bureau and the Miami Beach VCA. In addition to real estate and volunteer work in education, she is passionate about her work with the AFJ. She earned her BA in Law from Cambridge University and an MBA in Finance from Columbia Business School. 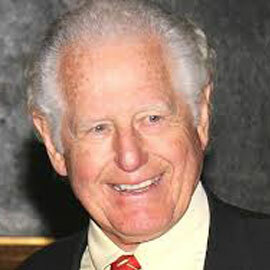 His numerous civic, cultural and educational activities have included: Pepperdine University; The Performing Arts Center, Board of Governors Hugh O’Brian Youth Foundation, Member, Association of Governing Boards of Universities and Colleges and the International Foundation for Learning Disabilities of LA. A passionate polo player, he won the US Open Polo Championship in 1993, he was a founding member of the Federation of International Polo and was inducted in to the Museum of Polo and Hall of Fame in 2002. He was the President of the AFJ from 1995. He is a longtime resident of Los Angeles and holds a Bachelor of Science degree from the University of Oregon. 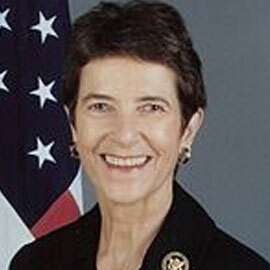 Ambassador Sue Cobb (ret) served as US Ambassador to Jamaica from 2001 to 2005. She is currently President of the Cobb Family Foundation and Principal of Cobb Partners, LLC. Previously, she was secretary of state of Florida, CEO of the Florida Lottery, partner at Greenberg Traurig, and multi-year member and three times chair of the Miami Federal Reserve. She is also a Trustee of CSIS and the Council of American Ambassadors, a member of the Council on Foreign Relations and on the Advisory Council of the Association of Diplomatic Studies and Training. A graduate of Stanford University and the University of Miami School of Law and a skilled alpine skier and high altitude climber, she has scaled mountains worldwide and published ‘The Edge of Everest’, a chronicle of her travels across China and Tibet and her climb of Mt. Everest. She served as President of the AFJ from 2007. Brenda LaGrange Johnson served as the United States Ambassador to Jamaica from 2005-2009. She was a partner since 1977 with BrenMer Industries, importing and marketing consumer products. Ambassador Johnson is on the Duke University Advisory Board of the Nasher Art Museum. She was a founding member, President and Chairman of the Women's Board of the Madison Square Boys and Girls Club and also served on President's Advisory Council to the Arts (PACA) and the Board of Trustees for the John F. Kennedy Center for the Performing Arts in Washington, DC. She has been a member of the Woodrow Wilson Council and she is a member of the National Advisory Council at MD Anderson Cancer Center in Houston, Texas. Ambassador Johnson serves on the Board of the St. Georges' Society and the Rose Town Foundation in Kingston, Jamaica. She served as President of the AFJ from 2013- 2015. She holds a degree in Education from Duke University and an MA from Columbia Teachers College. 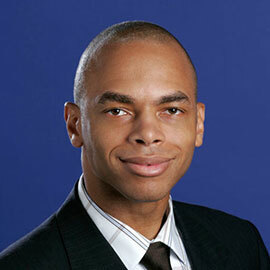 Barron Channer is the CEO and founder of BACH Real Estate, an affiliate of Woodwater Investments. He has nearly a decade of experience with complex real estate transactions, including acquisitions, restructuring and development. A native of Miami, he earned a Bachelor of Science in Computer Engineering from Rensselaer Polytechnic Institute and an MBA from the Wharton School at the University of Pennsylvania. 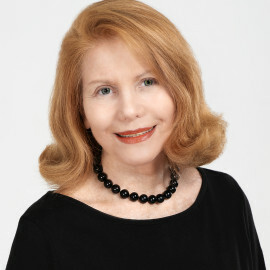 Channer is active in the community and serves as a board member for Baptist Health South Florida’s South Miami Hospital and the Miami Foundation. He has been instrumental in broadening AFJ’s outreach, particularly in Florida. James A. Cada was born and raised on a farm North of Schuyler, Nebraska. He graduated at the University of Nebraska-Lincoln with a Bachelor of Science Degree, a Masters of Arts degree in Education, and his law degree from the University of Nebraska College of law. He has served on the board of directors of the Nebraska Association of Trial Lawyers and is a member of the American Association for Justice. He has been president of the State Veterans Home Board since 1998 and actively served on many Veterans organizations. Jim also has been appointed by the Governor of Nebraska to the Health Coordinating Council, the Nebraska Workforce Investment Board and to work on Veterans issues. 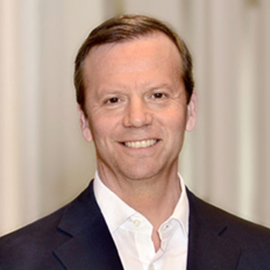 Mr. Sydney Engel serves as Chairman of the Board of The Engel Burman Group, LLC and also its Partner. 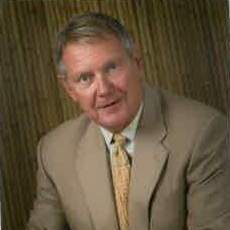 Mr. Engel has been involved in industrial, residential and commercial real estate development since 1946. His love for Jamaica spans over 30 years, with a particular focus on improving health care on the island. 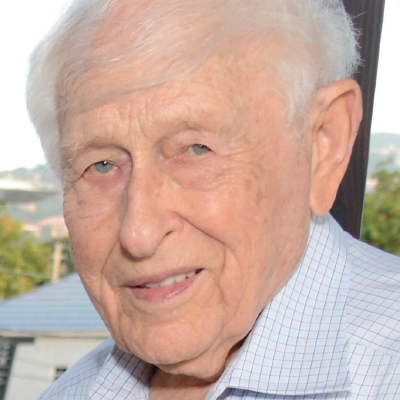 He and his late wife Sunny were instrumental in the founding of MoBay Hope Health Centre and were major supporters of Cornwall Regional Hospital. Ambassador Pamela Bridgewater (ret) was the US Ambassador to Jamaicafrom 2010 to 2013. She was previously US Ambassador to the Republic of Ghana and the Republic of Benin. 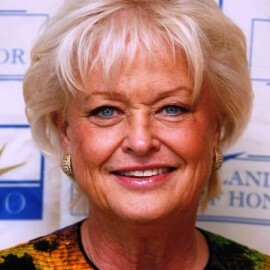 She was born in Virginia and has two degrees in Political Science, graduating with a bachelor of arts degree from Virginia State Universityin 1968, anda master of arts degree from the University of Cincinnati.Her career was initially in teaching, working at Maryland universities Morgan Stateand Bowie State, and Voorhees Collegein South Carolina, before entering the U.S. Foreign Servicein 1980.She was recently appointed CEO and Chair of the Africa Society in Washington DC. Paula Campbell Roberts is a Director on the Global Macro and Asset Allocation team at KKR. 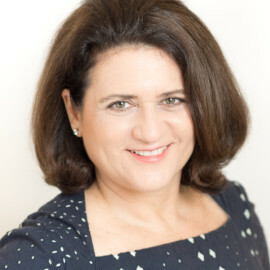 Prior to this, Ms. Roberts was an executive director of Morgan Stanley and the US Consumer Economist, leading coverage of the consumer sector on the US economics team. 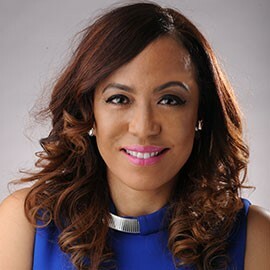 Previously, she was a management consultant leading case teams and advising Fortune 500 companies at Bain & Co.
Paula earned her MBA from Harvard Business School and a BA from Yale University. 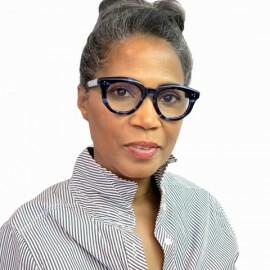 Currently, Ms. Roberts also serves on the boards of The Brearley School, the Anthony Trust Association and she is a Compass Charter School Advisory Board member. 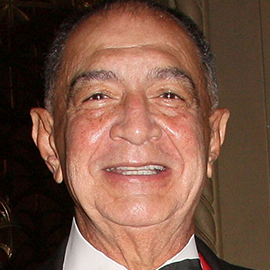 Ambassador J. Gary Cooper (ret) served as the US Ambassador to Jamaica from 1994 to 1997. Born in Louisiana, raised in Mobile, Alabama, a graduate of the University of Notre Dame, Marine Corps major general, state legislator, assistant secretary of the Air Force andAlabama commissioner of Human Resources. Additionally he has had a successful private sector career including as CEO of Commonwealth National Bank, and has served on the Board of Directorsof GenCorp, U.S. Steel, Protective Life, and PNC Financial Services. While in the Marine Corps he was awarded the Navy Distinguished Service Medal, the Legion of Merit, the Bronze Star Medal, two Purple Heartsand three Republic of Vietnam Gallantry Crosses]. He has been involved in many philanthropic endeavors focused on education, including the AFJ. Glenn Creamer is a senior Managing Director of Providence Equity. He was born and raised in Providence, Rhode Island, earned his BA from Brown University and an MBA from Harvard University. He is a director of various charities including Catholic Relief Services, Mustard Seed Communities and the Rhode Island School of Design in addition to several private sector boards. Pat Falkenberg is the founder and CEO of the clothing line Patricia F Designs and was formerly an interior designer in Scarsdale. She was the former chairwoman of the women's campaign board of the American Jewish Committee. She holds a BA from Mount Holyoke College. Monica Ladd was born and raised in the United States and currently lives in Kingston, Jamaica. 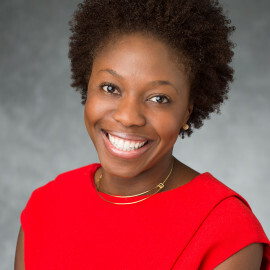 She earner her BA at Brown University, her JD at Emory University and then studied at Norman Manley Law School where she qualified to practice law in Jamaica. She speaks Spanish, French and German in addition to English and originally came to Jamaica to serve as at the US Embassy in Kingston. Amb. Luis G. Moreno served as the US Ambassador to Jamaica from 2014 to 2017. Prior to that he was the Deputy Chief of Mission in Madrid, Spain and from 2010 to 2011, he served as the Political-Military Minister Counselor and Force Strategic Engagement Cell Director in Baghdad, Iraq. His career included postings in Israel, Mexico, Haiti, Colombia & Panama. Born in Canada to Jamaican parents, Kathleen Newman is a proud member of the Jamaican diaspora. Trained as a nurse, Kathleen has devoted her life to hands-on charitable efforts including working in orphanages in Shanghai, China. She is actively involved in many artistic and design projects in Philadelphia where she currently resides, providing support to local artists and designers in a variety of ways from consulting to event planning. 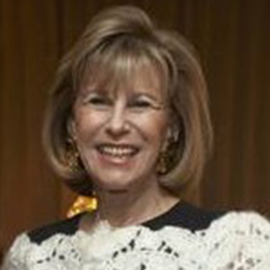 She has recently been appointed to the board of the prestigious Rittenhouse Hotel and Condominiums. She has been an enthusiastic supporter of American Friends of Jamaica over the past decade. 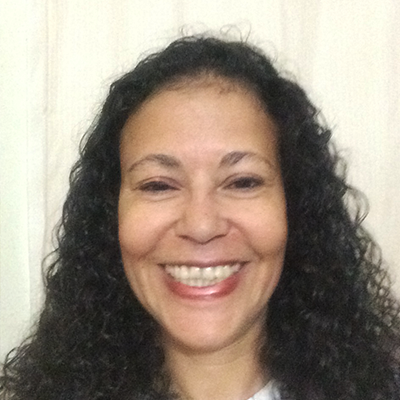 Michele Rollins is Chairman of Rosehall Developments Ltd. and lives in Delaware and Jamaica. She grew up in Manhattan and earned three degrees from Georgetown University: a Bachelor of Science in foreign service, a Masters in taxation law and a Doctor of jurisprudence , before going to work for the SEC, the US Dept of Justice, the EPA, the Dept. of the Interior and later Sun Oil. She was a candidate for the Republican Party Nomination to the US House of Representatives in 2010. Her wide ranging philanthropy includes the SOS Childrens Village, Rosetown Foundation and the American Friends of Jamaica. She is a Lifetime Partner of the Horatio Alger Association, on the Advisory Council for the Delaware Children’s Theatre and involved with the Ministry of Caring. Laura Tanna has a doctorate in African Languages and Literature, was born in Montana and has lived in England, France, Uganda and Jamaica where she served on the boards of the Creative Production and Training Centre, the African Caribbean Institute of Jamaica/Jamaica Memory Bank, the Institute of Jamaica, National Museum Jamaica, King’s House Foundation and the Alliance Française. In 2014 the Jamaican Government awarded her an Order of Distinction (Hon) “for invaluable contribution in the fields of Literature and Culture.” She is the author of two books, a DVD, two CDs and scores of articles. She currently writes for The Sunday Gleaner, Wealth Magazine and Jamaque Paradis Magazine.